Turn strangers into customers and promoters of your business. What Makes Inbound More Effective? Inbound marketing is all about getting found online by your audience. It’s where they’re looking for you. They’ve changed their shopping behavior, and we’re helping businesses adapt. Inbound focuses on attracting the right kind of prospects to your business and turning them into satisfied customers and brand loyalists. 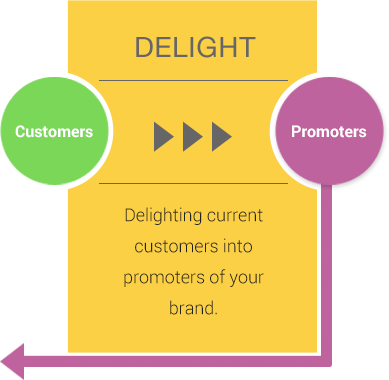 By focusing on what your customer wants to see and publishing content that’s in tune with their interests, you will naturally attract inbound quality prospects that you can convert, close, and delight over time. It’s how your prospects are behaving online today. They’re not waiting for the message to be brought to them. They’re searching online for the content that helps solve a problem and make their buying process a much more informed one. 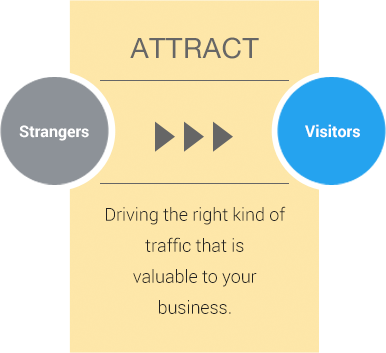 We’re not looking to simply attract website visitors, but rather attract the right kind of visitors that are valuable for business. For too long, the emphasis has been on traffic volume instead of the quality of the visitor. As consumers continually shift their attention online for research, most everyone has an online presence, including your competitors. You need something more. 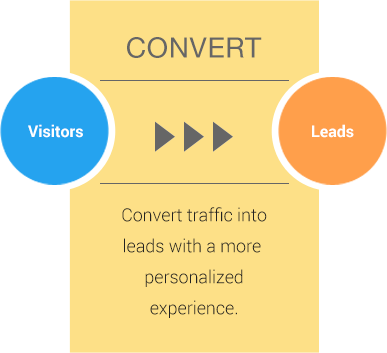 Once you’re driving more qualified visitors to your website, you’ll want to convert these visitors into leads by collecting their contact information. To do this, you need to offer something of great value in exchange. Using your buyer personas as the foundation, crafting resourceful downloadable offers in the form of ebooks, whitepapers, videos, or checklists is the first step in optimizing your website for lead generation. Now that you’re generating more qualified traffic and leads through your website, the focus now is on nurturing these leads with the right content at the right time in order to help close them into customers. By executing a personalized lead nurturing strategy, you’ll successfully shorten the sales process due to the level of qualification, education and trust your leads now have. The process brings to light that inbound marketing doesn’t just happen—you must do it and have the right tools, too! We use the right tools to get the job done and have developed services that deliver content that will appeal to precisely the right people (your buyers) in the right places (online channels) at just the time (ready-to-buy).